Founded in 2010, NK Homes was formed to complete the owner’s vision of creating warm and inviting communities that provide top-notch quality at affordable prices. Doug Godsey is the proud owner of NK Homes as well as various land development and holding companies, which allows for unparalleled communication and accountability from start to finish, as the land is transformed from inaccessible wilderness into the communities you love to call home. 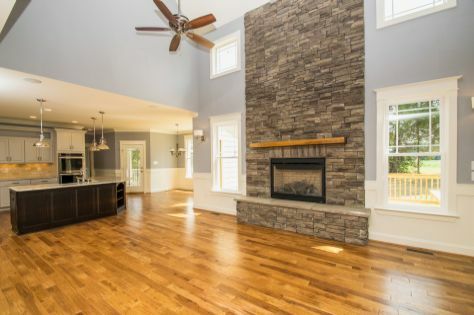 NK Homes specializes in building the finest quality craftsman and traditional elevation style homes in New Kent, Hanover, Henrico and surrounding counties. We use the highest quality components in our homes by forming partnerships with the best in Virginia, see our list of partners here. And we are thrilled to be publicly recognized for outstanding craftsmanship for the past 3 consecutive years! We build homes that we would want to live in and we are so proud of our homes and the quality put into each and every one. All of our base prices include upgraded finishes and features that you’ll pay extra for with other builders.